Samples NOT available***These are great items for events due to their closer than normal best used by dates (see date following flavor name). High quality lip balm at a discounted rate. 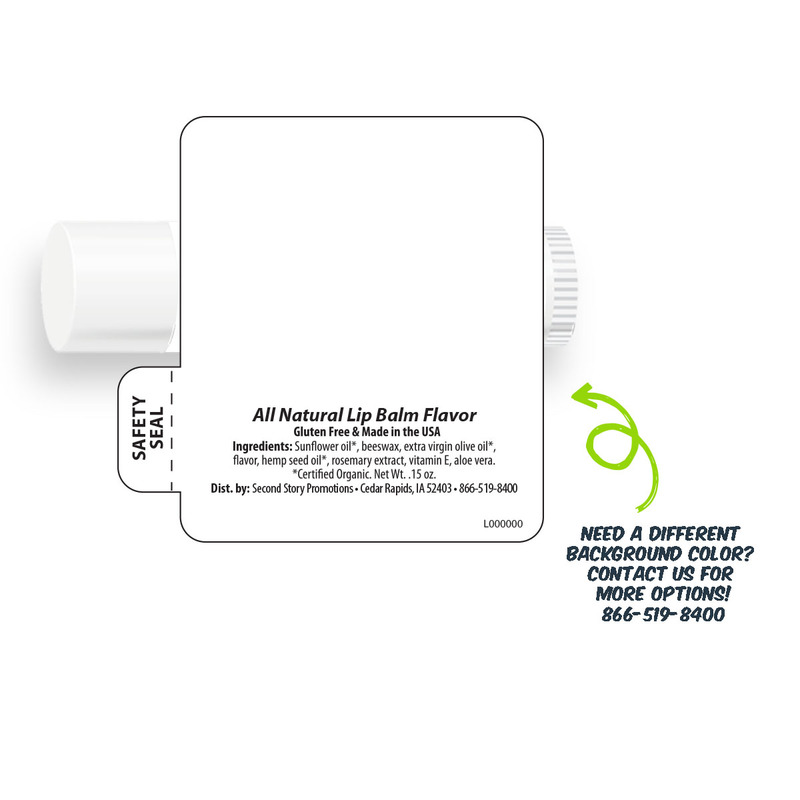 SPF, All Natural, Organic Lip Balms and Lip Shimmers you can personalize with your business or personal logo using our design tool. Organic labels have a 15 day lead time. Flavors are available while supplies last!